Profusely illustrated, this book is the first-ever chronological survey of French design, covering every decade and even including concept cars up to 2007. A “pre-history” of horse-drawn carriages, which includes a nice glossary of terms, leads into a brief overview of the earliest of self-propelled vehicles and then the early precursors of the car proper as we know it today. 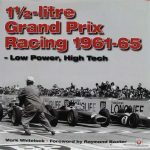 The great majority of the examples shown and described are of French manufacture, and even the reader who is only slightly familiar with French cars will probably recognize most of the names. These sections show the rapid transformation of body styles in response to emerging technology and changes in lifestyle, and also describe the changes to the specialized vocabulary that accompanies any kind of technology. There is much to discover here, even if one were only able to study the illustrations! Already by the 1896 Concours du Louvre it is obvious that French designers are developing a unique, national idiom that evolves in a distinct manner as the century unfolds. About half the book is devoted to prewar designs; the coachbuilder names will be familiar to anyone who has an interest in that era. The many period photos are supplemented by occasional coachwork drawings, ads, and modern photos of classic cars. The photo captions are brief, identifying the cars by make, model, and year. 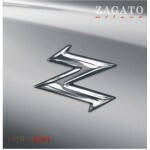 The second half of the book (1945–2010) begins with the obvious lament about the demise of traditional coachwork, but even as mass-production takes hold, French cars continue to look unmistakably French. US readers in particular will find much here they have never seen before because so little ever made it to these shores. This will both expand your visual lexicon and make you curse the US DOT and EPA regulations that keep these cars from being (legally) imported. There are many photos of studios, mock-ups, drawings, and—also distinctly French—quirky ads. The book is divided by decades and within that by “themes” that describe specific innovations, influences, personalities etc. The emphasis of the narrative is on trends and descriptions of styling. For analysis of business and industry matters, production stats etc., other books will need to be consulted. 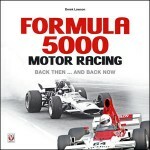 Befitting its subject, the book itself is very design-intensive, generously laid out, and printed on heavy coated paper. The Index is divided into people and companies and there is an extensive Bibliography. Surely there would be a market in the English-speaking world for this splendid book if someone were to translate it. 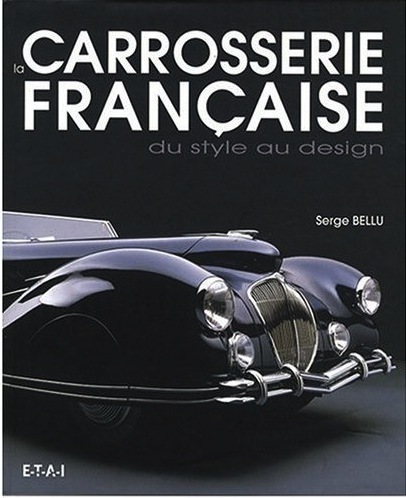 Won 2008 Grand Prix du Plus Beau Livre de l’Année du Festival Automobile International.